Back from Comic Con! Give us just a few minutes to get feeling back in our feet, and we’ll get busy with our reports. Whew! All right, here we go then… Terry Cronin is a writer, best known for his comic book series Students of the Unusual and his Skinvestigator series of detective novels. 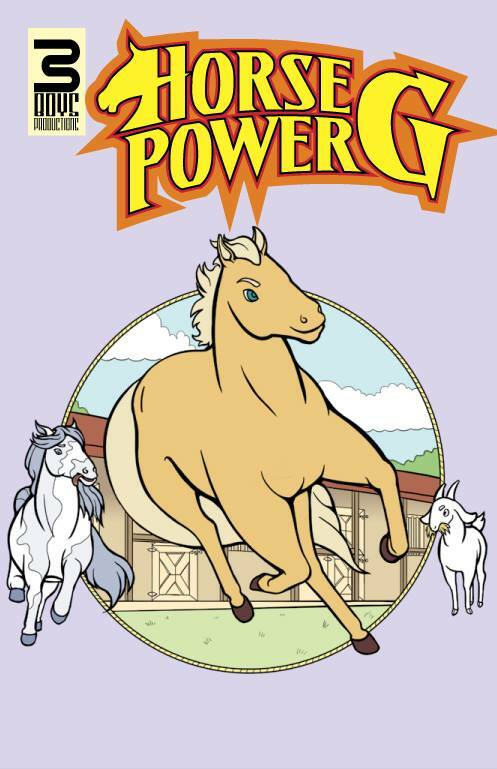 Recently, inspired by his wife Ava (who loves horses), Terry hooked up with the artists Savannah McKendree and Gary Scott Beatty to create Horse Power G, the story of a young lady named Gertrude (“G”) and her prize horse, Amber. Sounds simple enough, yes? Here’s the twist: Read the comic forwards from the front to the middle and it’s told from the humans’ point of view, but read from the back to the middle and it’s the same story from the animals’ point of view! It all meets up right in the center with a cliffhanger leading right to the next issue. 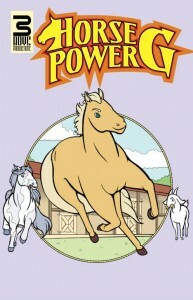 Horse Power G is published in full color by 3 Boys Productions. Visit the official Facebook page to find out more.